DeMolay is a service, leadership, and character building organization. Therefore DeMolay makes sure that we not only have a great experience in DeMolay with access to great mentors, but we are always looking for programs that will assist our membership gain an education experience. Annually, the DeMolay Foundation awards scholarships to Active and Senior DeMolays who excel in academics, DeMolay involvement, community/campus activities and show financial need. To qualify, brothers must submit an application and provide the required documentation. Applicants must have a high school degree and plan to attend an institute of higher education in the Fall 2019. Applicants are required to submit documentation of their SAR score from their FAFSA application. Information on the FAFSA application process can be located at www.fafsa.gov or contact your school counselor. Letters of recommendation are required and must be dated after April 1, 2018. Individuals selected for a scholarship are notified the last two weeks in June. Failure to submit the required information and documentation will disqualify the individual. In addition to the scholarships of DeMolay International, we are proud to present the following scholarships provided by those in the Masonic fraternity that support us. Their donation will generously provide DeMolay members with opportunities to further their education in an age where it is so crucial to do so. 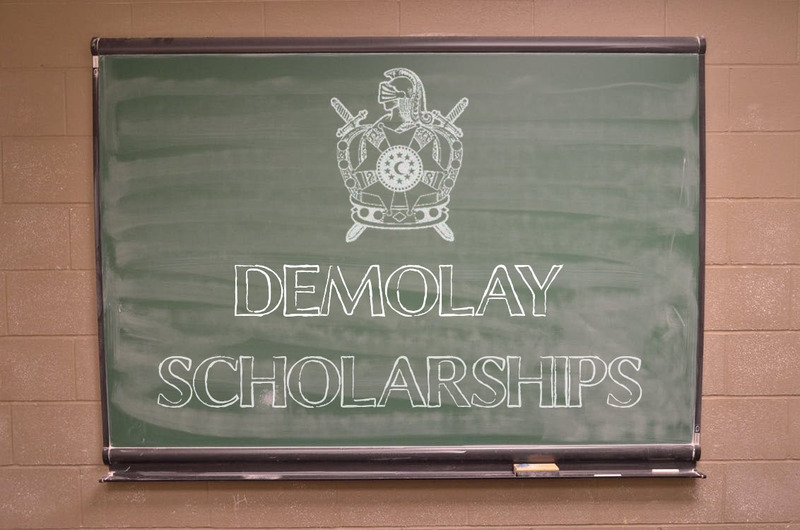 There are many more scholarships available in each individual Jurisdiction, so check with your local DeMolay Organizers to discover what opportunities exist. Description: Ill. Paul R. Kach, 33° (1900-1983) was an outstanding member of the Scottish Rite Valley of Baltimore, Maryland, and an ardent supporter of the Order of DeMolay. The essay contest, which bears his name, was established in his memory in 1984. The Scottish Rite members are proud to work with this incredible youth organization by offering a scholarship only for its members, and thus encourage the moral and intellectual growth of young men across the nation. Scholars Receive: Regional winners are awarded $300 each, and the two international winners receive an additional $1,200 cash. Plus for our Centennial Year the international winners will also receive a $5,000 academic scholarship. The essays of the international winners in each category are then published together in the Scottish Rite Journal, along with an announcement of all winners. Complete the 2019 Kach Essay at DeMolay.org/Kach-Essay. Description: Named for Leon M. Abbott, Sovereign Grand Commander from 1921 to 1932 of the Scottish Rite Northern Masonic Jurisdiction, the Scholarship Program provides financial support for the continuing education of young men and women from Scottish Rite families and Masonic-related youth groups such as DeMolay. Since 1951, more than $3 million has been awarded to students from each state of the Northern Jurisdiction. Scholar Receive: Scholarship money is distributed by different Scottish Rite “Valleys” and the amount is decided by the individual Valleys. For more information and this year’s topics and deadlines, click HERE. Description: A scholarship for DeMolay members in good standing that furthers their college education at accredited United States schools. Description: The Admiral James J. Carey/Washington Scholars Grant for Masonic Youth is a newly created scholarship fund that will sponsor a single member from one of the three largest Masonic youth organizations to attend the Washington Scholars Fellowship Program. This semester-long program provides the prestigious opportunity to spend 10 weeks living in our Nation’s Capital. The recipient of this scholarship will spend his or her semester: working for government and broadcasting agencies or NGOs; networking with Washington’s lawmakers, journalists and political aficionados; attending events at Capitol Hill, the Supreme Court and other powerful locations; and gaining invaluable connections and first-hand experience in the world of public policy. Admiral Carey, himself a Freemason, truly believes in the potential of our Masonic youth. To learn more about Admiral Carey and his Foundation’s charitable endeavors, visit www.AdmiralCareyFoundation.org. The Admiral James J. Carey/Washington Scholars Grant for Masonic Youth is designed for those in or above their junior year in an accredited college or university. Applicant must be an Active or Majority member of one of the above three Masonic youth organizations. This scholarship covers the cost of tuition and fees associated with the Washington Scholars Fellowship Program, while the student is responsible for lodging, transportation and expenses incurred while living in Washington, D.C. Please note this scholarship is for the Summer 2016 term of the Washington Scholars Fellowship Program, and will run from mid-June 2016 to mid-August 2016. Scholars Receive: The amount varies each year. For more information and this year’s topics and deadlines, click HERE. Complete the 2018 Kach Essay at DeMolay.org/KachEssay. Description: The Admiral James J. Carey/Washington Scholars Grant for Masonic Youth is a newly created scholarship fund that will sponsor a single member from one of the three largest Masonic youth organizations to attend the Washington Scholars Fellowship Program. This semester-long program provides the prestigious opportunity to spend 10 weeks living in our nation’s capital. The recipient of this scholarship will spend his or her semester: working for government and broadcasting agencies or NGOs; networking with Washington’s lawmakers, journalists and political aficionados; attending events at Capitol Hill, the Supreme Court and other powerful locations; and gaining invaluable connections and first-hand experience in the world of public policy. Scholars Receive: The amount varies each year. 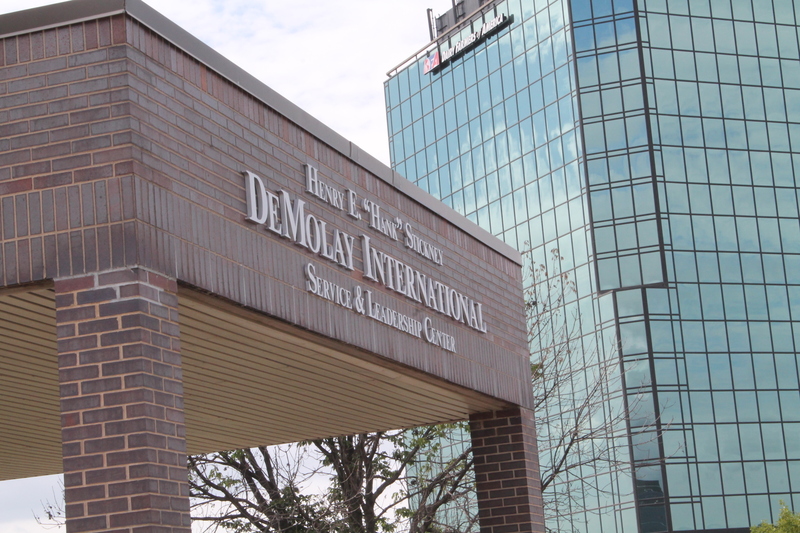 Kansas City, Mo – DeMolay International is now accepting applications for the 2019 DeMolay Summer Internship Program. The purpose of the program is to give the recipient, who must be an Active DeMolay, real-world experience at an International non-profit youth-serving association that allows that individual a better understanding of a professional work environment and the inner-workings of DeMolay. The first week of the internship will consist of vital on-the-job training relating to the business functions of the organization. The two individuals selected will also learn the intricacies of DeMolay and develop a complete plan for the summer training. Throughout the internship, the Interns will spend time shadowing each of the vital business units at the DeMolay International Henry E. “Hank” Stickney Service and Leadership Center where they will learn about Finance, Administration, IT, Chapter Procedures, Store Operations, and Executive Management. Each Intern will receive hands-on-training, leadership experience, and exposure, which will help the Intern prepare presentations on DeMolay International initiatives and on DeMolay recruitment and retention. Interns will participate in the planning and execution of the DeMolay Supreme Council and Congress Sessions, performing various tasks prior to, during, and after the conferences. Interns will also have the opportunity to create and participate in custom projects based on their professional interests. Interns are part-time seasonal staff members employed by DeMolay International for a defined period of time in a training environment. As such, Interns are not eligible for benefits normally provided to DeMolay’s regular employees. The duties of the internship shall begin on or about May 13, 2019 (or shortly after school ends for the participating individual) and conclude about mid August. These dates are flexible due to school schedules. Interns are encouraged to attend their home Jurisdiction Conclave or Convention, at their own cost, depending on scheduling. Normal business hours for this internship is Monday-Friday 8:30 AM – 5:00 PM CST. Some nights and weekends may be required. The individuals selected will be given fully furnished housing for the duration of the internship and a weekly living stipend of $50 per work day or $250 weekly. Interns will have private rooms in hotel accommodations, with breakfast and dinner available daily at the hotel. Additionally, both individuals selected will receive an all-expenses paid trip to DeMolay International Supreme Council and Congress Sessions in Kansas City, MO, where you will be expected to actively participate in behind the scenes work. Must be 18 years of age or older and an Active DeMolay. Must be a member of DeMolay International. Applicant must be seeking or about to seek a degree from a two or four-year college or university. A high school diploma is required. Proof required upon application. Applicant must have a car to provide reliable transportation, a valid driver’s license, active vehicle registration, and vehicle insurance. Proof required upon application. Applicant must be covered by their own health insurance for the duration of the internship. Proof required upon application. While performing the duties of this job, the employee is frequently required to stand; walk and sit. The employee must frequently lift and/or move up to 10 pounds and occasionally lift and/or move up to 50 pounds. Specific vision abilities required by this job include close vision, distance vision, and color vision. Ability to read, analyze, and interpret written information, financial reports, and important documents in English. Ability to respond to common inquiries or complaints from customers or members. Ability to effectively orally present information to public groups. Must also possess strong written communication skills. Advanced ability to work in a computerized environment with a working knowledge of Microsoft Office programs (Outlook, Word, PowerPoint, and Excel). Advanced knowledge in Adobe Suite products (Photoshop, InDesign, Dreamweaver, and Premiere) a plus. 3. Minimum 300-word statement on why you feel you would be specifically suited for this internship, what you hope to accomplish, and how DeMolay could contribute to your professional advancement. 4. Contact information (including name, address, email, and phone) for three professional references who can speak to your skills and character.